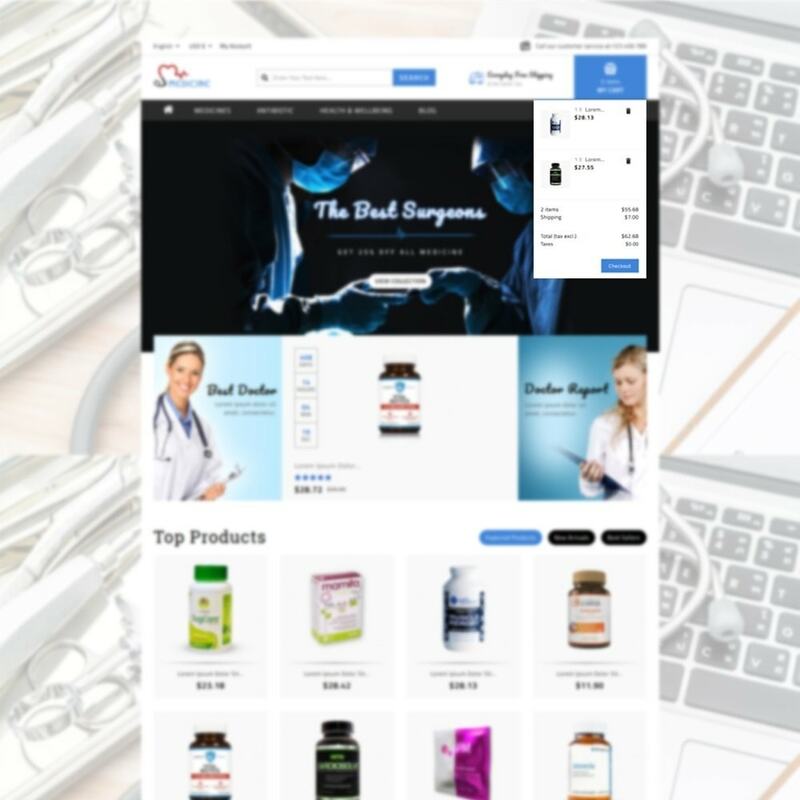 Want to sell medical products online? 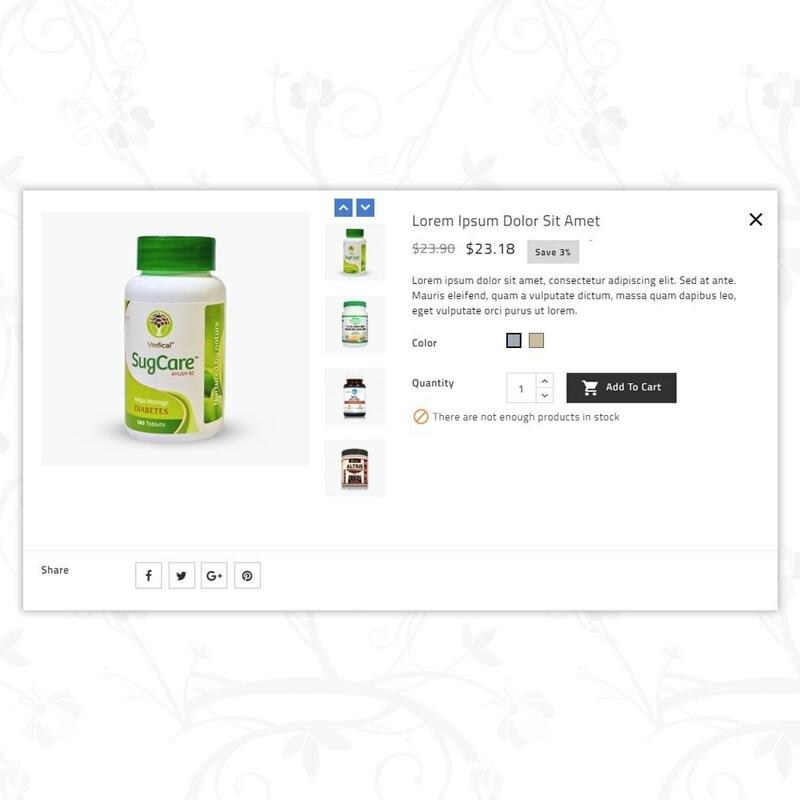 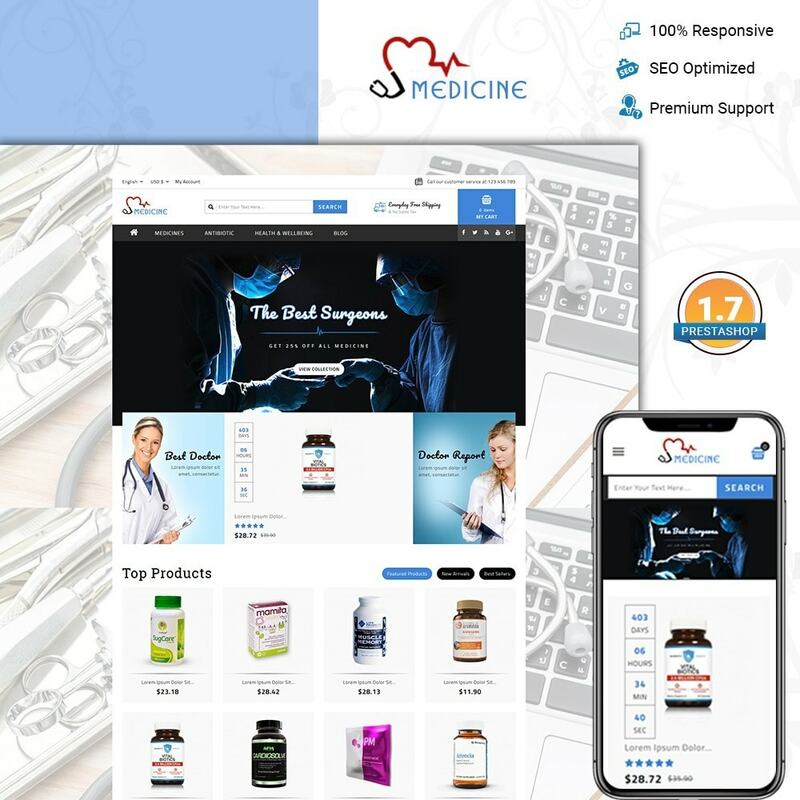 Medicine is the best eCommerce website template. 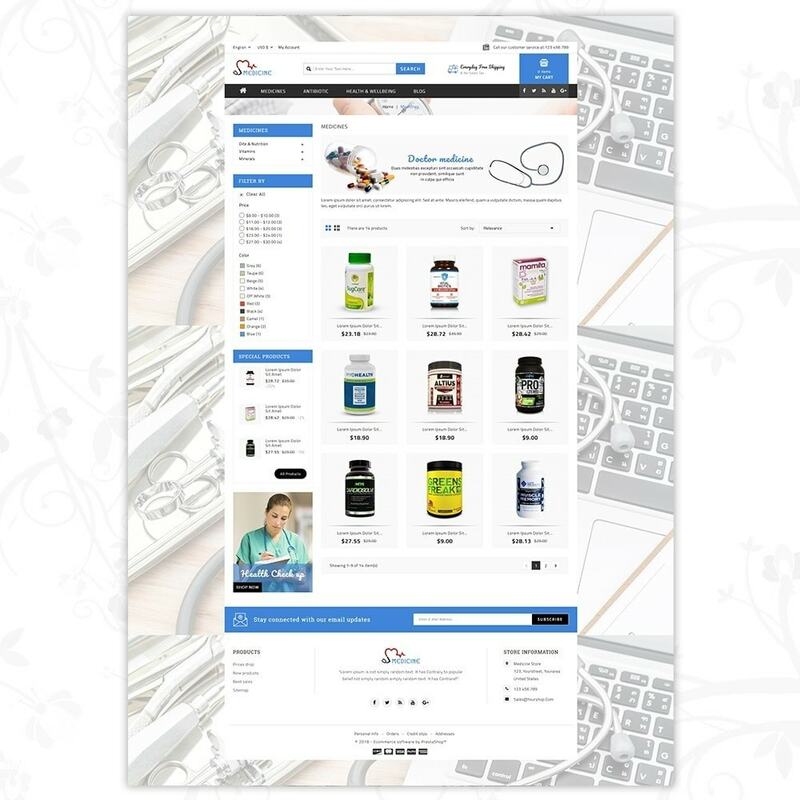 Its clean, flat & professional graphics and aesthetic design stand out amongst the others. 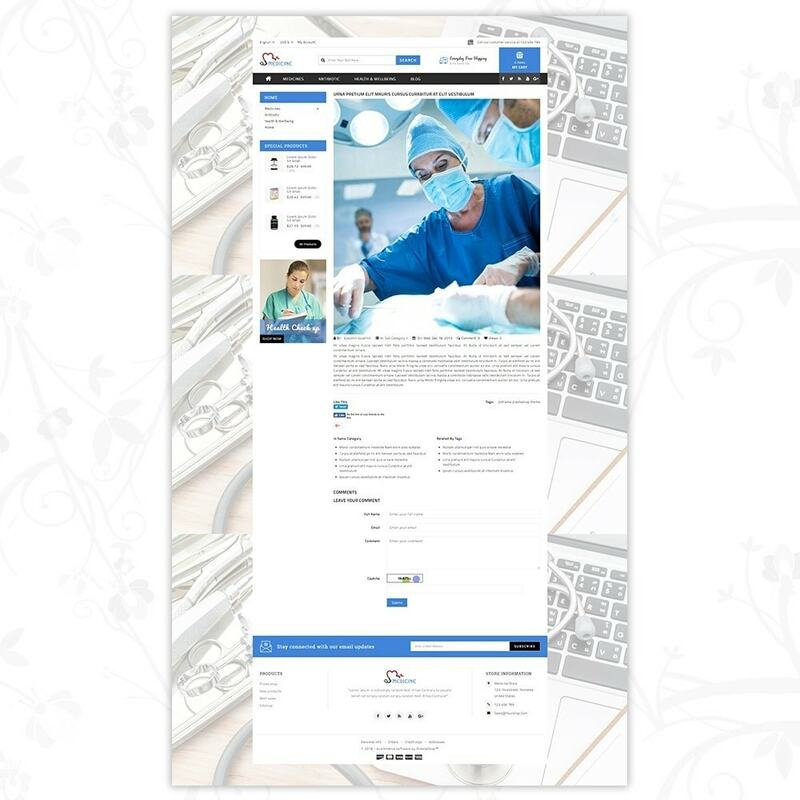 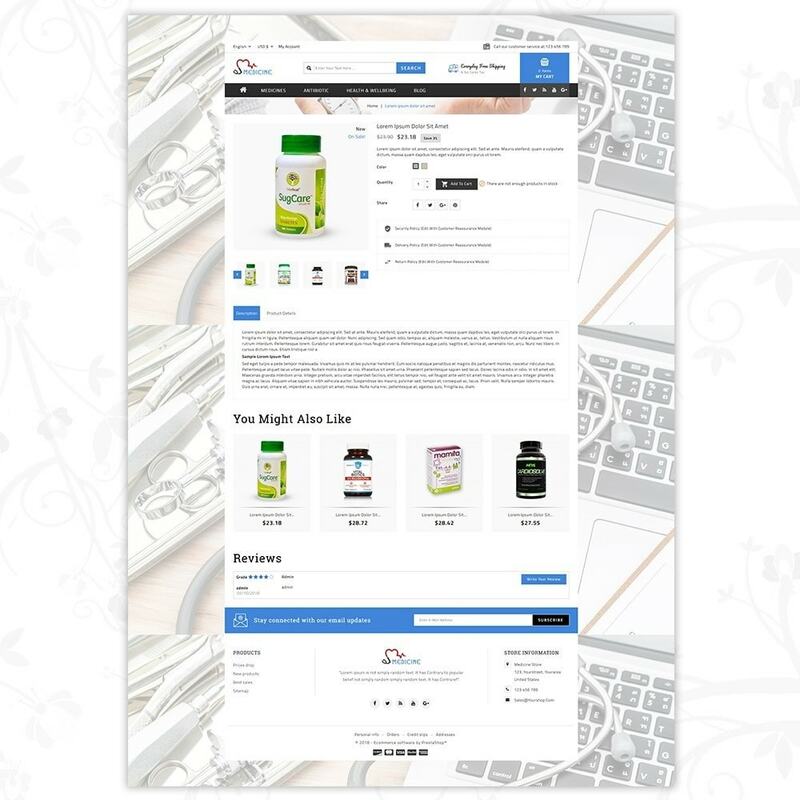 The ‘Medical’ eCommerce website template was built to be suitable for clients who want to sell medicines or medical products online. 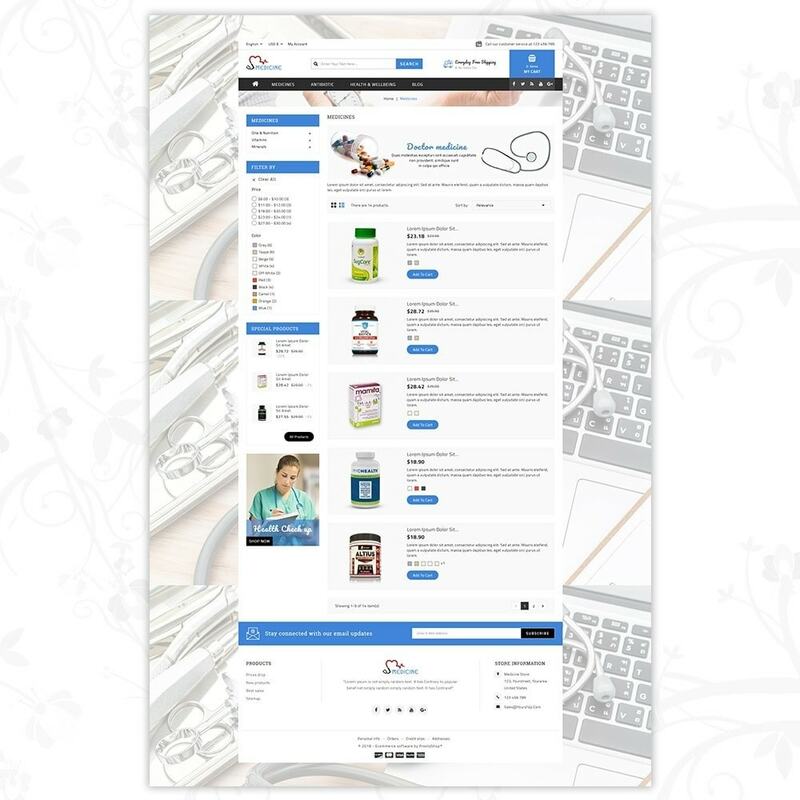 This design although can be repurposed for other uses as well. 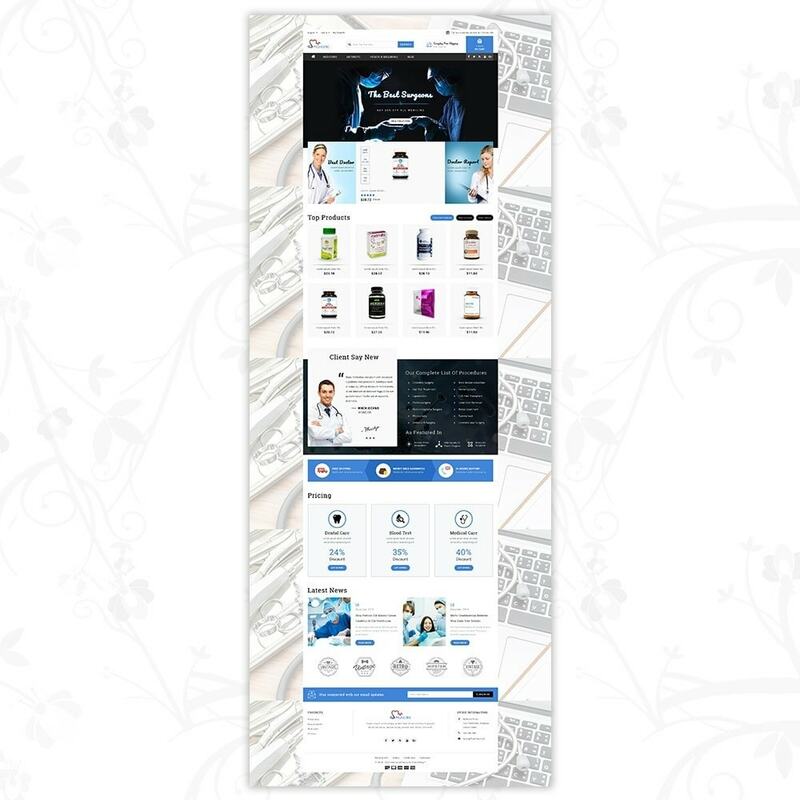 Its clean graphics and flat design can prove to be attractive to clients from any business vertical.